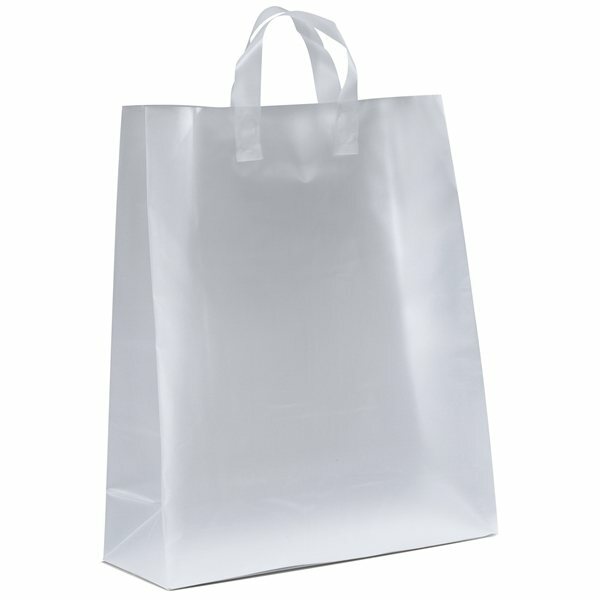 Paper Recyclable Flexo Ink Mini White Gift Shopper 7.75" X 9.75"
3.5 mil hi-density frosted plastic bags with fused loop handles and cardboard bottom insert. the good part is that none of the product was affected or damaged. I liked that quality overshadowed the affordability of the product, which was quite affordable at that! Very professional looking! the imprint came out great. They were very well received at our event! Quality seemed to be ideal for the cost. Fantastic quality.